Order Commander Nick Greger and Spiritual Leader Paul Ray in Msida. 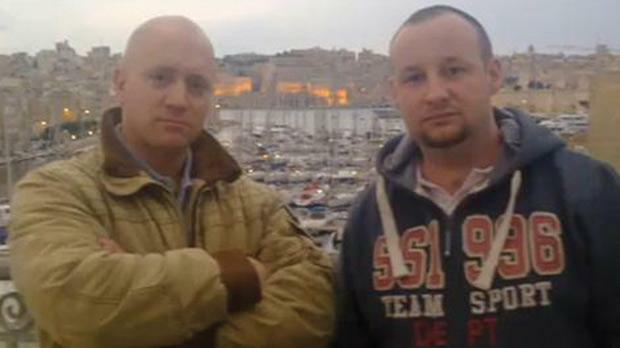 In the wake of the Norway massacre, two high-profile far rightists’ connections with Malta have emerged. One of them is being linked to shooter Anders Behring Breivik. Mark Micallef asks if this ‘threat’ should be taken seriously. ‘Is the man who inspired Breivik a Briton?’ asked The Daily Telegraph yesterday, a day after its rival The Times of London led with an interview with Paul Ray. The 35-year-old has been living in Malta since 2009 and has found himself embroiled in the press coverage of the Norwegian massacre because of the anti-Muslim ramblings on his blog. With this sort of attention, many would keep a low profile, but not Mr Ray who has given at least a dozen interviews to local and international news agencies. Mr Ray, who blogs under the pseudonym Lionheart, was linked to Mr Breivik after the British press discovered a mention of his nickname in the murderer’s 1,500 page manifesto, posted hours before he killed over 76 people in bombing and shooting attacks in Oslo and Utoya island. The English Defence League (EDL), a violent far-right protest movement, of which Mr Ray formed part, was also repeatedly referred to in the manifesto. In all of the press statements he made, however, Mr Ray strenuously denied he was the murderer’s mentor as Mr Breivik claimed in the manifesto and also denied any contact with the killer. However, he accepted that he shared Mr Breivik’s outlook that the West was under threat from a Muslim invasion. He also acknowledged his friendship with a notorious former German neo-Nazi Nick Greger (who also lives in Malta), and Ulster Freedom Fighter Johnny ‘Mad Dog’ Adair, a Northern Irish terrorist who was released from prison in Northern Ireland under the Good Friday agreement. Mr Ray’s blog betrays the personality of a typical, attention-seeking, eccentric, keyboard warrior who has brewed his own particular political ideology and mythical fantasy world to go with it. The iconography of the Knights Templars is mixed with that of the Knights of Malta on his blog, even though historically they have nothing to do with each other, but their symbols are used as powerful signifiers for the imagined war he believes Christians to be fighting with Muslims. Jews are friends in Mr Ray’s book, as are Christians, while Muslims are generally the foes, even though he is “not a racist”. The fact, for Mr Ray, is that “millions” of “them are bent on ruling the world”. He seems to spend his days investigating this possibility of how Muslims could carry out a suicide attack in places like Paceville’s square. In one blog, titled ‘When a plane drops out of the sky’, for instance, he spends over 1,000 words investigating the “very realistic thought” he had had that morning that a person could shoot a passenger plane out of the skies over Malta. It is easy to dismiss him as a fantasist, but Mr Breivik might have fallen in the same category only a few weeks ago. Anthropologist and columnist Mark Anthony Falzon thinks the likelihood of this sort of internet activity leading to the sort of tragedy witnessed in Norway was very unlikely. Most of the time, fluid and fragmented groups like the sort of far-right online community Mr Ray seems to form part of will just spend their time fantasising on about-to-arrive cataclysms and past greatness and stop there. “My qualifier is the obvious point that any sort of discourse/practice which is based on systematic hate can’t be a good thing to indulge in,” Dr Falzon pointed out. 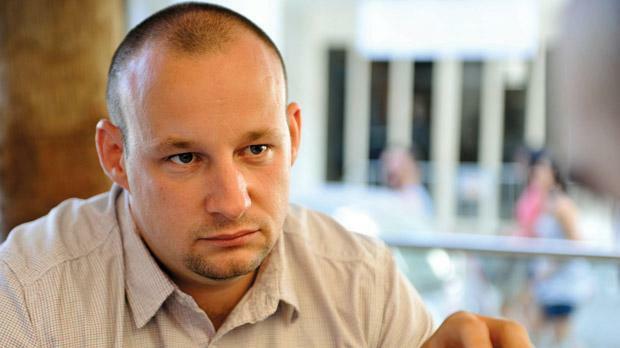 This argument was picked up by sociologist and Alternattiva Demokratika leader Michael Briguglio who argued that as long as the posts of Mr Ray or any other fundamentalist stayed at the level of conspiracy theories, they should not attract any special attention by the police or similar institution. Forensic psychologist Roberta Holland said it would be difficult to assess the potential threat posed by this sort of activist. On the other hand, Ms Holland said the police in these cases should definitely be vigilant for the possibility of words turning into action, pointing out that Mr Breivik had been monitored over the suspicious purchase of chemicals used to make a bomb, but the flagging was dismissed as he had no criminal record. “Norway is known to be a very tolerant country and we are too, in certain areas, and that is good for personal freedom but we must make sure to be vigilant,” she said.